Hopefully I can fit in some shoe shopping, mama needs a new pair of shoes! Hooray, A Muse Calendars are now available for download by donation. This years cause is to support Charley’s Fund – read more about it here. This is my first time actually finishing an A Muse Calendar, if you can believe that. I was going to use the Bind-it-All but then I thought “what else could I do with this?” Then it came to me. 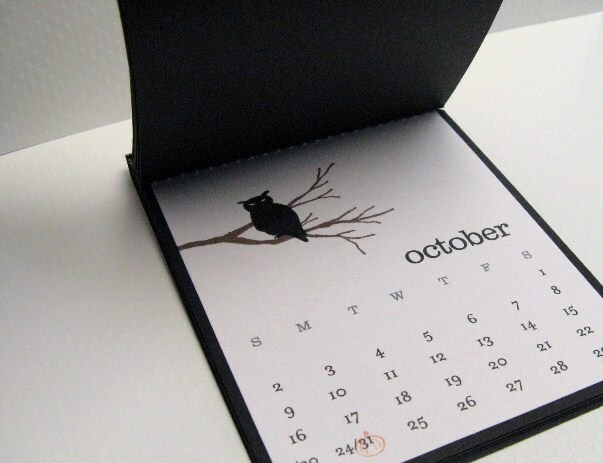 A tear-away calendar! 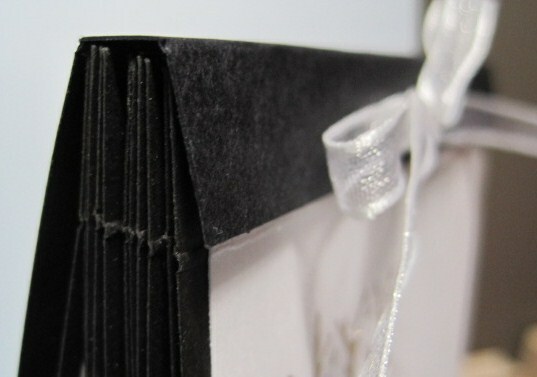 I started with the A2 A Muse Calendar pages mounted on black cardstock, then perforated with the Scor-Bug 0.5 inches from the top (it’s best to go back and forth a few times for extra perforations because there are two layers). 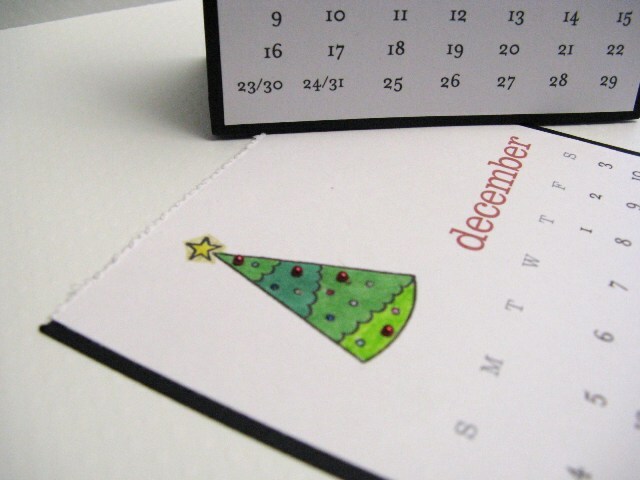 The top of the calendar pages were punched with the Crop-a-dile and then taped together with Scor-tape above the holes so you can easily tear away the pages one month at a time. 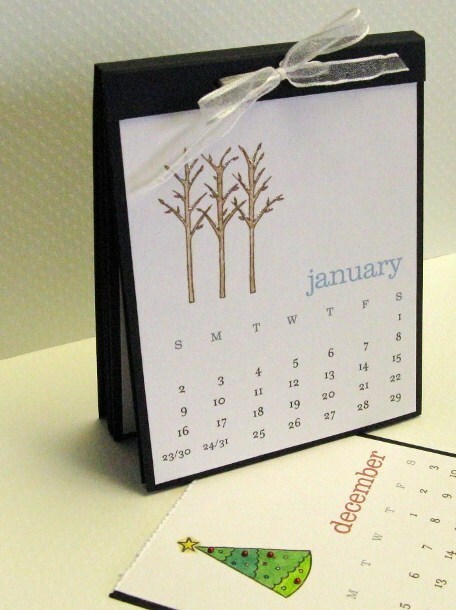 The ribbon is threaded through the back of the calendar out through the lip of the matchbook and tied in a bow. http://www.criminalgrace.com/?p=2247 (check out the rest of her blog for tons of inspiration). buy my very own brand new laptop – no more hand-me-downs! contribute something to a charity (september, it wasn’t a lot but i donated to the a muse calendar project and emailed others to participate as well – hopefully made a small difference in donations). organized a charitable bake sale at the work on valentine’s day weekend and another on easter weekend. donated to heavenly creatures when their donation boxes were stolen in march). Guess what! The Paperie is sending me to Orlando to take classes and attend a trade show! I really appreciate Chris & Janna’s continued support to make me the best instructor that I can be. I will be attending COPIC classes with Chris, one of the owners of The Paperie and we will be ready to teach you more about these wonderful markers in the Fall – I can’t wait! We are also taking classes with TIM HOLTZ! But the excitement doesn’t stop there; I’m taking a class from Claudine Hellmuth of Ranger, and both Chris and I will take classes with Sally Traidman of Hero Arts! We are actually signed up for over 15 classes altogether and can’t wait to bring back some exciting class ideas to The Paperie.